The HyperX Cloud MIX is the latest gaming headset from the range which has provided us with some of the absolute best ear-blasters in the business, and that from a company that actually made its name in RAM. The two most definitely do not go hand-in-hand, and yet the original two Cloud cans, and the later HyperX Cloud Alpha, absolutely nailed high-end gaming audio with an affordable price tag. 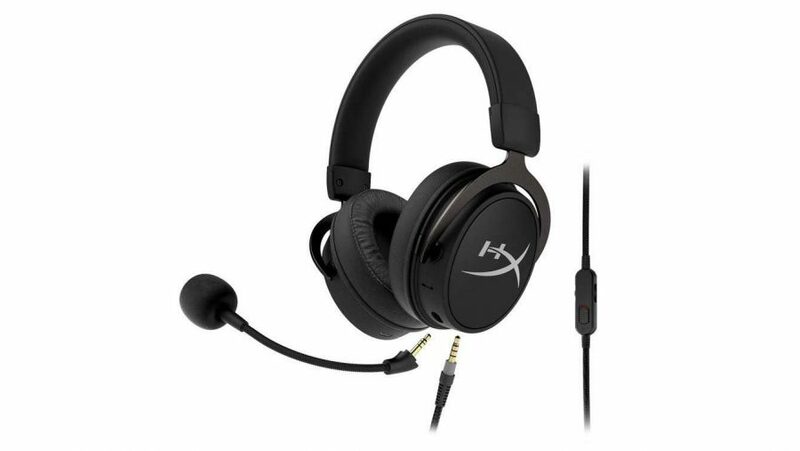 But what does the Cloud MIX bring to the table that you can’t get in the existing headphones from the HyperX stable? Wireless audio, that’s what. 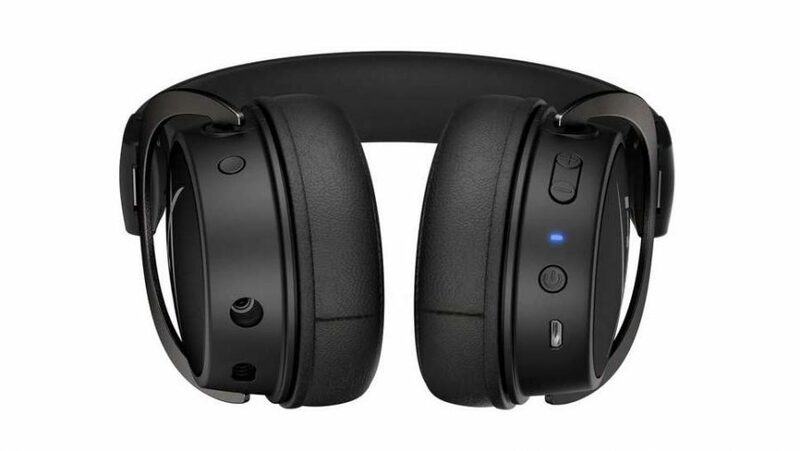 Though it’s not quite as simple as that because, while the Cloud MIX does have wireless connectivity built into it, it’s not strictly speaking a wireless gaming headset. Yes, we’re moving into hybrid wireless gaming headset territory here; a product category I’m not entirely sure anybody asked for, or one that can really justify the price premium this mixed wired/wireless technology is demanding. We’re talking about a high-end traditional wired gaming headset, but with Bluetooth functionality away from the desktop. But this isn’t just the excellent HyperX Cloud Alpha with a Bluetooth dongle jammed inside it, the engineers have spent time working on the drivers and tuning the audio to deliver a gaming headset which has extra functionality as well as a higher-spec aural experience. You’re still getting the innovative multi-chamber ear cups HyperX introduced with the Cloud Alpha, a design which separates out the high and mid frequencies from the bass notes using different chambers. The effect on the original cans was genuinely impressive, creating a level of tonal separation that you’d be hard pressed to find in any headset of the same price. That sort of aural fidelity is normally reserved for audiophile headphones costing at least twice as much as the Alphas. But the Cloud MIX is using different drivers, and while the bigger-numbers-are-best brigade might bristle at the suggestion a 40mm driver could be superior to a 50mm option, the nominally smaller drivers used in the MIX headset are an improvement on the Alpha’s. The lower impedance means that the headphones are easier to drive from lower power devices, such as a phone, but it’s the far more broad frequency response which has caught my eyes and ears. Where the Alpha sports a 13Hz – 27,000Hz range, the HyperX Cloud MIX offers support for frequencies as low as 10Hz and as high as 40,000Hz. That’s proper audiophile-level territory right there, but where the Cloud Alpha brings its own broad range to the affordable end of gaming headsets, the $200 (£180) HyperX Cloud MIX is getting mighty close to high-end pricing. But that high-res audio enabled frequency range is only accessible via the traditional wired connection, if you wanted to go wireless with your PC’s Bluetooth connection then you’re limited by bandwidth. The Cloud MIX does support Bluetooth AptX, which means it can deliver CD quality audio over those wireless pipes, but you’re not going to get the full high-res experience without a cable. If you’re just looking for that wireless connectivity to come into play when you step away from your desk, pulling audio from Tidal, YouTube, or Spotify on your phone, that’s not really an issue. 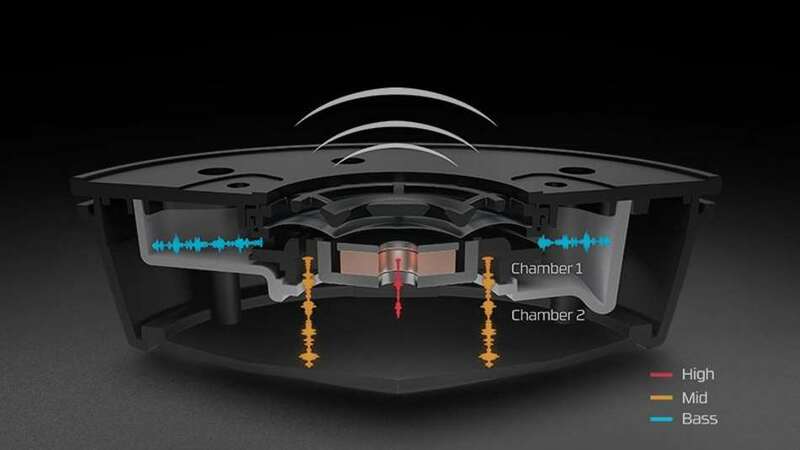 The Bluetooth connection is robust, and still delivers a great aural experience – thanks largely to that dual-chamber design. But to get use the full potential of the Cloud MIX’s drivers you need to get wired for sound using the headset’s 3.5mm connection. That way you get the full representation of that ultra-broad frequency range as well as the stunning tonal separation that’s become the hallmark of the most recent Cloud cans. Does that mean the audio has been improved over the Alphas? Well, that’s hard to say, and in all honesty is going to be something of a personal choice. If you thought that maybe the original Cloud and Cloud Alpha headsets were a little bass-light then you’ll be happy to know that’s definitely not the case here. Personally, I find the new HyperX Cloud MIX headset just a little too bass-forward compared with the Alpha’s flatter, more natural tuning. It does mean you get some serious ‘splode noises when things are really kicking off in Battlefield V, and thunderous drum-heavy music is beautifully rendered through the MIX too. I’m normally anti the bass emphasis manufacturers normally add to headphones with the ‘gaming’ moniker because it generally means it muddies the quality of the mid and high tones. But, presumably thanks to the dual-chamber design, that doesn’t happen with the Cloud MIX, you just get the heavy bass, along with all the detail and clarity of the other frequencies too. It’s not taking anything away, just giving you more boom for your buck. And if that sounds right up your street then these new cans are going to be perfect for you. For me, I think I just about prefer the sound you get from the original Cloud Alpha design. As a gaming headset then, the Cloud MIX is excellent though potentially slightly divisive, and as a set of Bluetooth headphones they’re very good too. But I’m still struggling to decide whether I need both in one package. 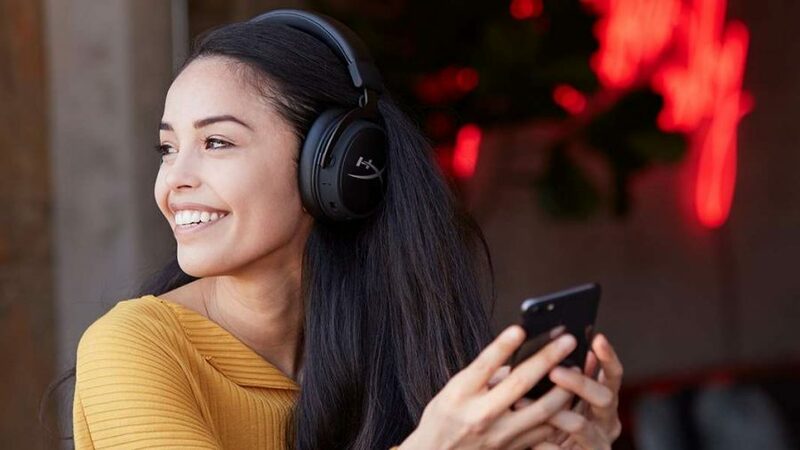 In a way the extra functionality means that you don’t have to buy a separate gaming headset and another pair of headphones for general music-listening use on the go. But while HyperX has tried to tone down the general ‘gamer’ aesthetic for the MIX, so it’s not quite so cringey to be seen wearing them around town, they still don’t look like a pair of chic audiophile cans. The on-ear controls are solid, and responsive, and more importantly relatively discreet – thankfully the MIX isn’t plastered with RGB LED strips – but the chunky ear-cups are still a little large for my tastes and that big silver HyperX logo a little too prominent. Finally there’s that price. 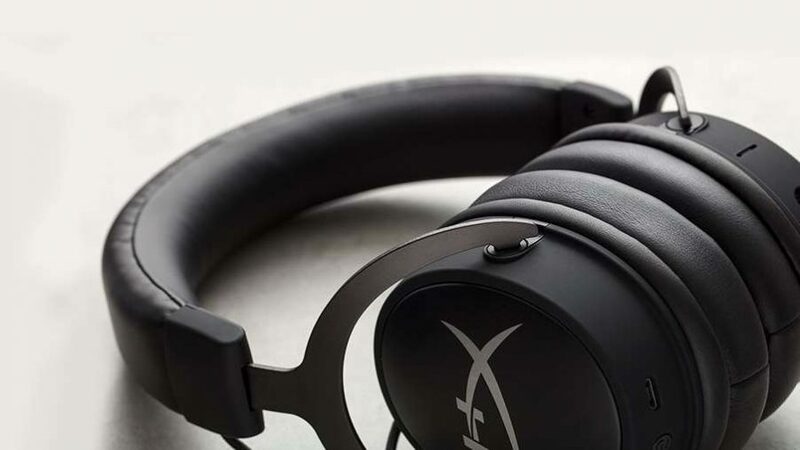 For a pair of audiophile-level cans the $200 (£180) price point is actually pretty decent, but the HyperX Cloud Alpha, at just $90 (£70), is almost impossible to ignore. It’s a fantastic gaming headset, has great audio chops, and is less than half the price of the MIX. That’s a hell of a price premium for some Bluetooth functionality and a dollop of extra bass. The HyperX Cloud MIX then is a quality set of cans, but the extreme price premium over the Alphas, and its bass-forward tuning, just makes it a much tougher product to recommend. The audio quality is impossible to deny, and if you feel the need, the need for extra bass, then the MIX will serve you well. And that Bluetooth wireless is a nice touch too, but the extra price for those two features is just a little too rich for my blood.